Spicy Guacamole. This might not be the best recipe for tortilla chips but it’s great to add to any Mexican or Southwestern dish. It’s super easy to make. You can add less jalepeno to make it less spicy. Cut avocado in half lengthwise. To remove the pit, stab it with a fork or sharp knife until it sticks and twist. Then carve out the avocado with a large spoon. 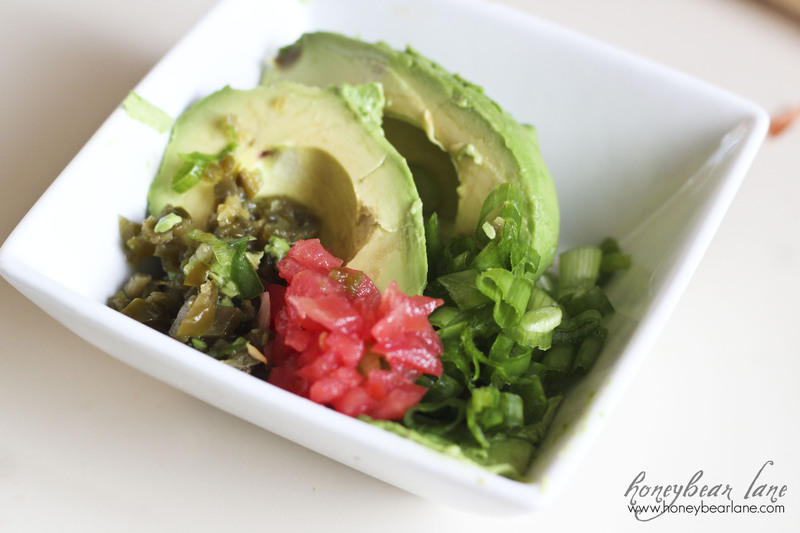 Put all the ingredients in a bowl and mix-mash up the avocado with a fork. (Or you can pre cut the avocado in the shell making it easier to mash.) Let the flavors merry for 5-10 minutes before serving. Serves 4. 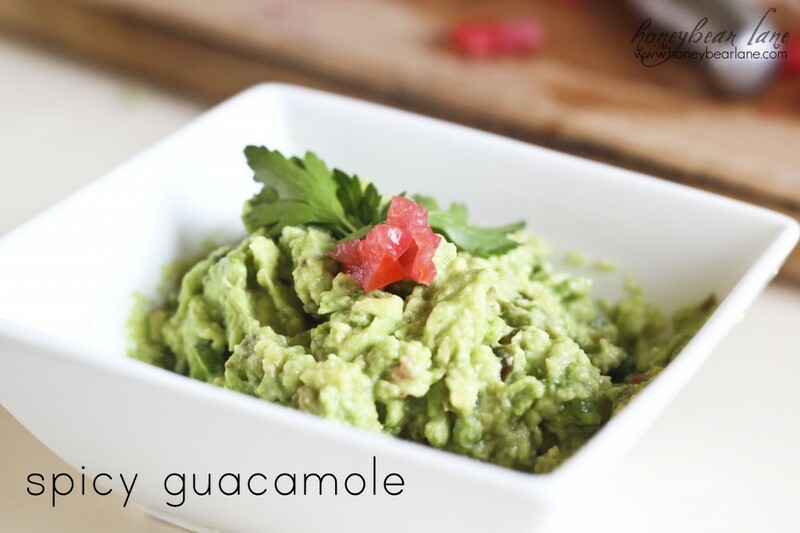 Spicy Guacamole…I should try this…I really love a kick. Perfect for Cinco de mayo! Featuring it on Tickled Pink this week. Thanks for linking up! This looks like a great appetizer to whip up for parties! Much more wholesome than your average store-bought guacamole.